Interview: Jacqueline Luckett, part le second! Readers, I hope you were able to read "part le first" of our interview with Jacqueline Luckett on Friday. Click here if you'd like to jump over there and catch up. (Nod your head "yes" and click here!) 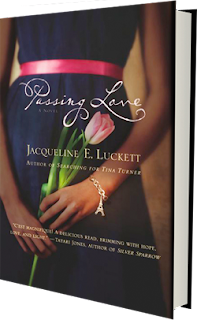 Jackie told us about her inspiration for her most recent novel, Passing Love, about getting started in publishing a little later in life, and about the writing themes she returns to again and again. Unintentionally or ironically (Big Timing? ), several of my questions and Jackie's answers centered around what so many writers experience, whether they're fledgling writers just getting started on the manuscript they've put off for years, under contract with a publisher for their debut novel (pick me!!!! ), or working on their second, third, fourth, fifth … and so on, novels! We seem to have a little tiny struggle with FEAR and SELF-DOUBT. Agh, it's a cranky animal. Then, as I was reading a transcript of the Twitter Black Lit Chat (#blacklitchat) from February 26, where Jackie was the guest author, I did a double take when I saw the first question and Jackie's answer. Seriously? I'm choosing to believe something bigger than I am worked this out. Let's move on with the rest of the interview, and you'll see what I mean. Something I deal with as a debut author—more than I probably even care to admit—is fear and self-doubt. You can worry about so many things as a writer: how your books will sell; how they will be accepted by the media, by readers, by … ; whether everyone will wonder what the heck you were thinking when you decided to write the book. Have you experienced this, too? How did you deal with these emotions? Any advice for newly minted authors you wish someone had given you? I wore (wear) fear and self-doubt on my sleeves for both novels—while I was writing them, as well as after my publisher accepted them. The questions you pose are the same ones that nagged and me then and now. I’m certain that many authors fret in the same way. Maybe it’s the equivalent of stage fright, except that it lasts for a longer time and recurs with every page that we write. It’s easier to say, “just let go” than it is to do it—let go of all of the anxiety, all of the expectations and frustrations. I have friends who’ve told me that The Universe has already decided the outcome for my novels, so there’s nothing more for me to do. I’m not sure if I buy that explanation, but if the Universe has big things in mind for me, I’m all for it. I try to be positive and confident. Admittedly, I’m not always successful. It helps to talk to other writers with positive spirits and outlooks (no gripe sessions!). Mostly, I think worry is a part of the writing process. The key is to shed the worry and the questions quickly. I think everyone has days when they have to “talk themselves down from the roof.” When I was working on my first novel, I wish that someone had told me (and maybe friends did, but I ignored them) to focus on the writing not the fear, the self-doubt, or hoped-for success (in whatever way that meant). I’ve adopted the gist of that mantra. Now when I sit down to write I tell myself, “Today, I’m going to write the best pages I know how.” I don’t expand from pages to chapters or an entire book. I keep it simple: Write the best page I can. Really, that’s all that I can control—the quality (on all levels) of my work. It keeps me focused. Also, I offer this: Make good contacts, ask questions, network, know the publishing business, don’t expect your publisher to devote all their marketing dollars, time and efforts to your project, be willing to work beyond what the publisher does (blog, social media, contact book clubs, perhaps an outside publicist) and keep writing. I recently read this letter from Ernest Hemingway to F. Scott Fitzgerald. Seems that F. Scott was having some trepidations. My point? It happens to the best. That's really good, Jackie. Thank you. Readers, we have a challenge for you at the end of the post regarding your own fear and self-doubt. Now, let's go a different direction for a minute. As I mentioned in "part le first," Carleen Brice recently introduced me to your books. She'd read my manuscript and thought I'd enjoy Passing Love due to its similar structure and some similar themes. I did, if that isn't obvious. Carleen, who lives in my hometown (Denver) and writes lovely books herself, has a huge heart for connecting diverse audiences of readers and writers. She started a blog nearly four years ago, White Readers Meet Black Authors, where she posts interviews, reviews, and guest posts about books written by African-American authors. I've been introduced to several authors there I might have missed otherwise. Often, books by African-American authors are arranged in a separate section of the bookstore, similar to how books by Christian authors are shelved separately. My own debut novel features one white point-of-view and one black point-of-view, yet I'll be shelved in general fiction, not African-American fiction. There are plenty of debates about whether that's "right" or "wrong," with a full spectrum of answers. (Personally, I'd love to just go to the "fiction" section and find what I want filed alphabetically by author, regardless of "category!") I would love to hear your thoughts on reaching diverse audiences as an author. I don’t recall who said or wrote that there are only about 40 plots and that every book is a reiteration of one of those plots. I don’t know if that’s true, but what I do know is that there are different ways to approach a story. How many stories are there with plots like this: Boy meets girl, they fall in love, they fall out of love, part, reunite and live happily ever after? Oh, maybe there’s war or disaster or cultural clashes and family feuds, but the stories are the same. Place and character change stories. They’re influenced by the author’s expertise and experience. The broader question is what it will take for the publishing world to accept and promote good writing universally—regardless of the writer’s ethnicity? It’s up to each of us to effect a change. Buy and read books written by African-American authors without basing the decision on the writer’s ethnicity. Afraid to buy? Libraries exist so that we can read fearlessly and without a large financial commitment. If readers, and I include myself, truly love reading, we have to be open and not discriminate because of an author’s gender, race or even sexual preference. Those who love reading should read widely and take risks with books that challenge and offer different viewpoints and perspectives. That’s the joy of reading a story that’s different from our own lives. Or, the joy of reading a story with characters different from ourselves, but with feelings, dilemmas, obstacles, and joys we can relate to. Readers should expand their personal libraries. Look first for an appealing story, not the race of the person who wrote the book. When that happens, publishers won't put books into categories that limit exposure. By sticking to basic selection criteria—well-written book, holds our interest, takes us to another world or experience—then the author’s ethnicity shouldn’t matter. I challenge readers to buy books that allow them to take new journeys, meet new people and explore a variety of approaches to life and all the problems it can present. Look for stories that capture your attention and allow you to explore traditions, family values, the role of women, love, whatever. Passing Love is the kind of story, both in tone and style, I so frequently love to read. I highly recommend it to our readers here at What Women Write as many of our readers enjoy this type of novel, too. Can you recommend any additional African-American authors you consider to write in a similar vein, along with any specific titles? I find that I don’t have the chance to read as much as I used to. I fear hearing another author’s voice in my head. Some other authors whose works I’ve read over the past year include Edwidge Dandicat, Julia Alvarez, Junot Diaz, Walter Mosley, Isabel Allende, and Toni Morrison. This is a great list. I already read and loved The Taste of Salt and Children of the Waters and loved both, and The Girl Who Fell from the Sky and Silver Sparrow have been on my reading wish list for some time, just waiting for my finger to click "purchase" on my Nook! Thank you for all the great recommendations. We'll end this fun and informative two-part interview with "question le last." What are you working on now? Is there anything exciting going on that you’re just dying to tell someone about? Tell us, please! I’m doing a lot of thinking about the novel I want to write next. I’ve always said that I want my protagonists to be women in their 50s, because I want those women to be valued, revered and still considered to be at the top of their game. But, there’s a male character whose story is nagging me, and I’m a bit perplexed as to whether or not I should follow him. I wrote a one-act play in 2011. It still needs work. I have an idea for another play and I’ll probably start work on that later this year. My mother turns 90 this fall and I’m looking forward to planning a splashy celebration for her. That’s about the most exciting tidbit I can offer. Oh, please tell your mother Happy Birthday from What Women Write! That's exciting! 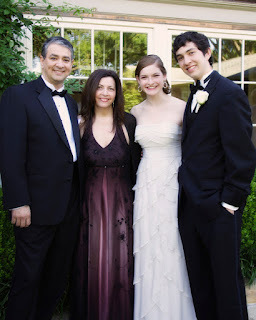 Jackie, thank you so much for taking the time to visit with us on the blog. We wish you lots of great success with your novels, already published and future! And now, readers, we have a challenge for you from Jackie. Please post a six-word comment about how YOU are overcoming fear and self-doubt! Here's a little more about Jackie's novels. Lena Harrison Spencer is in her mid-fifties, and the time has come for her to face the hard truths of what it means to have it all and still find oneself unfulfilled. When Lena determines that what she needs is the strength to change directions, Tina Turner becomes the icon from whose story she derives strength, even as everyone else tells her she's crazy for giving up her cashmere cocoon. For more information, and to read Jackie's blog, please visit www.jacquelineluckett.com. Interview: Jacqueline Luckett, part le first! 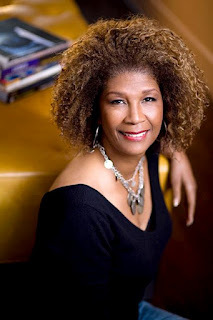 Searching for Tina Turner (2010, Grand Central Publishing) was Luckett's first novel. Her second novel, Passing Love, released in January 2012, also from Grand Central Publishing. She is an avid reader and lover of books, an excellent cook, aspiring photographer, and world traveler. She lives in Northern California and, though she loves all of the friends there, she takes frequent breaks to fly off to foreign destinations. For more information, and to read her blog, you can visit www.jacquelineluckett.com. Publisher's Weekly said Passing Love is "a dreamy and lyrical paean to all things French…"
Thank you so much for visiting us here at What Women Write, Jackie. First, tell us about your love affair with Paris, music, and the other things that inspired Passing Love. Why these things? Paris is the most visited city in the world. Although I’ve met a few people who weren’t impressed with or excited about Paris (and I can’t believe it), most who’ve had the chance to visit know what a special place it is. Just ask if someone’s ever been to Paris and watch the glaze come over their eyes. Much like my character, Nicole, in Passing Love, I love Paris. I admit to being in love with it long before I ever visited. Thinking back to high school, studying French probably started my fascination. I’m not sure if it was Paris that preoccupied my thinking, but it was certainly the thought, the dream of speaking French in France. Whatever, I knew that I would visit there one day. My first trip was short and sweet. I bounced from hotel to hotel and made the mistake of trying to see and do too much. My recollections from that first visit are more like impressions than memories. I learned that Paris should be taken in small doses or slowly in much the same way one does a good book that tells a complicated story. There’s so much to see: from the street fashions to traditional tourist sights. The smallest detour or wrong turn can often result in the most wonderful discovery—that’s what I wanted Nicole to experience and part of the reason why she ends up in a thrift shop filled with collectibles. Since my first trip, I’ve made it a point to visit for longer periods of time whenever I can. Longer trips give me opportunity to meander and linger. I can forget schedules and must-see memorials, museums (though I do love the Musée D’Orsay), and shops and just enjoy the city. There were three elements I wanted to write about in Passing Love: characters who lived ordinary lives, characters who challenged the ordinary and a place where they could all come together. I wanted my characters, those in the present story and the story that takes place in the past, to be in a city for the first time and to be in awe of its wonders. Paris was perfect because of the tradition and history, beauty and whimsy available to its visitors and expats. There’s the centuries old history, the undeniable aura of romance, the ability to be safely anonymous, and the music. There were many Americans—Josephine Baker, Bricktop, Langston Hughes, to name a few—who came to Paris between the two World Wars. Many African American artists and musicians returned after World War II. They found cultural, literary, and racial freedom on many levels. Most times, that freedom was new. I wanted Ruby and Arnett to experience what it was like, as two Southerners, to be in Paris. What themes do you find yourself returning to again and again in your writing, whether through your novels or other genres? Why do you think these themes resonate so much with you? 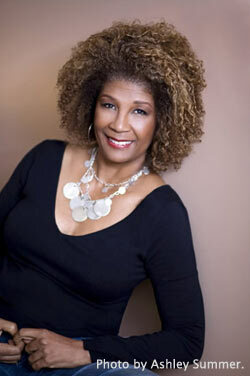 Searching for Tina Turner, my first novel, is the story of a woman who goes on a journey, literally and figuratively. What comes through for the main character, Lena, is the inspiration and lesson of Tina Turner’s personal story: that everything we need to move forward in our lives is already within us. Reinvention, self-awareness, and self-fulfillment are themes that run through this novel, as well as Passing Love. I also address fear and what can be done to conquer it. We can all afford to be fearful, but no one can afford to let fear keep us from doing what we want or need to do. I want to encourage my readers to avoid deferring their dreams. Too often life and responsibilities get in the way or provide convenient excuses. The reasons are legitimate. Money, work schedules, family, and personal obligations don’t always allow the majority of people (often many of those are women) to explore or experience new places or situations. Then there are instances when moving forward is stifled by fear. Call fear by any other name—responsibility or denial of desires, but it works in the same way and we stay stuck. The main characters in Passing Love have different approaches to life. Nicole deferred her dream of going to Paris out of fear. While, on the other hand, Ruby doesn’t hesitate to do what it takes to get her where she wants to be (some readers have told me that she should’ve been afraid). I wrote these characters in the hope that readers would understand allow fiction to inspire real life. Here’s the lesson I want us all to learn: It’s not as important how long it takes to get to the dream, as it is to fulfill the dream. I’m hoping that both Nicole and Ruby inspire my readers to act. You came to writing later in life. I can relate. Some days, I wish I had started writing “seriously” fresh out of college or earlier, but I’m not sure it would have worked. What inspired you to begin writing (or begin writing again)? How has the experience of being a late bloomer, for lack of a better description, figured into your writing? For as far back as I can remember, my parents, uncles, aunts, and cousins gathered together on Friday nights. As the oldest of the cousins, once I became a teenager, I was chief babysitter. We made tents, had talent shows, and watched TV, but as the night went on I kept my cousins from misbehaving with my stories. I also wrote stories and poems for the children’s page in a local newspaper. The love of writing has always been a part of me, but I never pursued it in high school or college. To this day, I am unsure why, but coming from a family where I was the first to attend college, writing didn't seem to be a career option. Instead, I became an avid reader. I triple-dared myself around 1999 to, as my father used to say, “put up or shut up.” Either start writing or forget the idea. I took a writing class and released the stories that had been simmering inside of me for so long. I’d written business letters and proposals during my corporate career, but I was looking for the chance to use my imagination and my love of language. I enrolled in a creative writing class and the challenge I gave myself opened up a whole new world. Sharing my work with fellow writers was difficult and, to some extent, impersonal. They all seemed to be younger, wiser and cutting-edge. I felt vulnerable whenever they offered their feedback, both because of my maturity (alright, my age) and my lack of experience. It took courage (and conquering that fear I spoke of in my answer to second question) for me to continue. Not the courage to break away from corporate America, but to explore my passion and to share my work. Eventually, I realized that my experience (yes, age) gave me a kind of edge over my younger colleagues—simply because I’d had more of them. My life experiences allowed me to compare past and present, as well as the long-term effects of our actions. I love writing about characters who’ve been around for a while and the effects of their choices. If it’s true that writers should write what we know, I know about life from both sides of fifty. That wisdom influences my writing and my characters—oh, they still have doubts, but they have the ability to call on a variety of circumstances to try to work through them. I would’ve loved to start writing earlier in my life, but at this point, I’m thankful for having discovered my passion, for living my dream and knowing that readers are enjoying my work. I'm thankful you did, too, as I very much enjoyed Passing Love and look forward to reading more from you. I've been exploring your blog in preparation for this interview. Last year, I noticed, you wrote that after not journaling for years, you thought you'd try it again for one year. I used to journal all the time as a young girl, especially as a teenager, and have found it more difficult the older I grow, for reasons I haven’t quite fingered. Were you able to follow through? What can you share about that experience that either enriched or changed your process or productivity as a writer? I might have blogged that I kept diaries when I was younger. But, even then, I didn't make daily entries. When I think back on that time, I believed I didn't have anything to say. I was focused on what happened—what I did or ate or watched on TV—instead of what I dreamed or wished or feIt. In a few of those entries I tried to write about being skinny or not having a boyfriend or being a bit lonely in the world. I managed to journal but, for the most part, I kept those feelings in my head. Even now, when I look at my diaries (yes, I still have them) I can recall exactly what had happened to spur an entry. A couple of weeks ago (so much for daily entries once again), I looked at my journal on, it turned out, the same date that I’d started over a year ago. My intention was to see if my commitment would be different from my teenage years. I stuck to the commitment to write in my journal, but only occasionally—I’d say (generously) once a week. There’s always the possibility I’d do better if I put myself on a schedule, and that might work. The good news is that I worked a lot on PASSING LOVE during that time and perhaps that’s where I used some of the emotional energy that might have gone into a journal—and that’s a “good thing” because it gave my characters the authenticity that makes them real. Jackie, thanks so much for being our guest here at What Women Write! Readers, thanks for dropping by. We will pick up next week with our interview with Jackie, part le second! We'll hear more from her about fear — specifically, the fear and self-doubt that seems almost universal to writers. Also, we'll talk about a subject dear to the heart of Carleen Brice, who introduced me to Jackie, and who not only writes fabulous books herself, but runs a blog called White Readers Meet Black Authors. We'll also learn what's up next for Jacqueline Luckett. My boys are big fans of the show Undeclared. Created by Judd Apatow (Knocked Up, Bridesmaids) and starring Seth Rogen (Knocked Up, 50/50) and Jay Baruchel (Nick and Nora's Infinite Playlist, She's Out of My League), the show featured college freshman Steve (played by Baruchel) and his friends as they embarked "on one of the greatest experiences of their lives" with Steve's recently divorced and despondent father in tow. It had all the makings for a successful series--a great story idea, talented up-and-coming actors, good writing and directing. So why did it end after only 17 episodes? It debuted on September 25, 2001--at a time when our country was in the early stages of recovering from the worst terrorist attack on our soil. Did anyone really care about Steve and his buddies? The timing, obviously, was catastrophic. As writers, we hear a lot about timing. How the right book at the right time will make just the right impact on readers. While story and talent weave to make compelling reading, WHEN that story crosses the desk of an agent or lands on the shelves of book sellers can also be huge. If you had spent months or even years writing the most awesome story about a time-traveling man and his wife only to start querying a week after Audrey Niffenegger's story sold, then chances are you heard no, thanks and no, not now and perhaps no, never again. So how do you make timing work in your favor? Enter the business with an open mind and a pocketful of ideas. Recently Elizabeth could be heard banging her head on her desk when a NYT best-selling author announced her new book--one Elizabeth had at the ready in her to-be-written file. Did she give up writing? No, not at all. She just kept on with the book she was currently writing and knew she had other stories also waiting to be written. But I'm not entirely sure she's shelved the idea for the book. She's also aware that story ideas are often approached from unique angles and done very well. So perhaps she'll approach the book from another character's point of view or put her own take on it. I have no doubt she can do it. Write well and often. If you're constantly getting ideas out in front of people, you'll increase your chances of hitting that target at the right time. Stay abreast of market trends and understand the business. If you hear that zombies-who-run-brothels stories are hot, then DON'T write one. You'll be too late. But if you see that dystopian stories are big with young adults, then find a new take on that concept and run with it. Then you can pitch your book as "Brave New World meets Theseus and the Minotaur"--two timeless stories that merge to make something new--aka: The Hunger Games. Okay, that's been done too, but you see where your imagination can take you. Develop relationships with others in the business. Perhaps you're writing and are pre-published, pre-agented like me. Attending conferences, building friendships with other writers via local writing/critique groups, online venues and more can keep you with one foot in a constantly revolving door. Just follow Judd Apatow's lead. When audiences didn't embrace Undeclared, did he consider himself a failure? No, not at all. He went on to produce: Bridesmaids, 40-Year-Old Virgin, Forgetting Sarah Marshall, Get Him to the Greek, Step Brothers, Talladega Nights, Anchorman, Super Bad ... too many movies to list. Every story, apparently, in its own time. Those of you who have been following What Women Write know that I recently finished The Oak Lovers, a novel based on the lives of my great-grandparents. Unless you’ve been stopping by since 2009, you may not know what compelled me to write their story. My favorite childhood stories all involved a colorful character named Carl Ahrens. I adored the outrageous tales about young Carl running away from home to live with the Indians, befriending Calamity Jane, or making a catastrophic attempt to fly off the barn roof. He was a cowboy in pioneer Montana one night and the next he traveled the California coast by covered wagon. Though I knew Carl was my ancestor, it wasn’t until I was much older that I associated the adventurer with the frail old man in the family photographs. How could a man who suffered from a crippling form of tuberculosis have had all those adventures? What about the woman beside him in the photos, the one who kept a comforting (or perhaps possessive) hand on his arm? He gazed at her instead of the camera, a look of naked adoration on his face. What was their story? I had to know it and, once I did, I had to tell it. Many writers claim they had to write a particular book, but the reasons behind the need vary greatly. Today, authors Therese Walsh, Stephanie Cowell, Kathryn Magendie, Cathy Marie Buchanan, Judy Merrill Larsen and Erika Robuck join us and share their inspirations. There are so many layers to this question, and it might be answered in as many ways. At a base level, I think I was compelled to write because I sought professional gratification. I'd left a career as a researcher and writer for Rodale Press to become a stay-at-home mom. I had no regrets--not a single one--however I missed the world of more cerebral work. This persisted even after I began freelance writing from home, because that didn't satisfy my need to evolve as a writer. Once I hit on fiction--trying my hand at some children's picture book concepts before deciding to write a work for adults--the bug bit hard. My reasons for writing evolved then, became partly about recovering from the death of my father and other real-life events. But at root, I think I simply needed to feel like a relevant professional with something to say, and with the skill to say it. I was so passionately interested in writing Claude & Camille because most of my friends have been in the arts and, like the young Claude Monet, most of them have had a hard time managing their art and the needs of a normal life. Since the arts often bring little money, how do you pay the rent? And if the writer or singer or painter has a day job, she must fit her painting or writing in the evenings and weekends. She is constantly saying, “I can’t do any of these lovely social things because evenings and weekends are my time to…” It can be a real tension in a relationship; it can cause marriages to fail. If you are devoted to an art it takes an awful lot of time and money. So the story was dear to me because I lived it and many of my friends lived it. 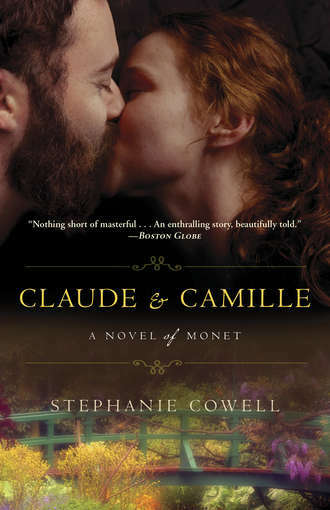 Claude & Camille is a bittersweet story because by the time Claude Monet had succeeded as an artist, he had lost Camille. I wanted to ask, “What is art worth? What was the cost of the beautiful water lily paintings?” It has no easy answer. While letting my first book (Tender Graces) simmer before chopping it to pieces (laughing), I wanted to see if I could write a draft of a novel in 30 days—not for nanowrimo, for at the time I’d not heard of it; I just wanted to see if I could discipline myself to the task. I started with a vague notion of a “special” girl who has scars on her body and lives in a small mountain. In the back of my mind was an article I’d read in Reader’s Digest magazine about a little girl who had a congenital insensitivity to pain, and how her mother had to watch over her so very carefully. Well, I wondered, what would happen if the mother couldn’t watch over the little girl? And what if this was during a time, and in a place, where this wasn’t a known condition? What if the girl and the town thought she was afflicted or cursed? I began writing: tippity-tap-tip-tap—wheee! There I was la tee dah’ing away on a story-path and then one day during a walk in the forest on my mountain cove here in the Smoky Mountains, Sweetie “came to me.” She was so real in her faded cotton dress. She told me I had it all wrong—had her all wrong. I’ve never had this kind of experience with a character before. I may never have it again. And whenever I’d stray, she poked me until I had it “right.” Sweetie also affected the ending, which I angsted over so very much until I finally let it “go” and knew it was the only ending that could “be”—period. 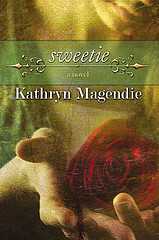 Sweetie remains one of the most special of my books because of this feeling of something outside of me that can’t be explained. I had to write her, and I had to write her as “Sweetie” wanted me to. She, and I, could not rest until that was done. I have never seen her or felt her since finishing the book. I miss her but I’m glad she’s happy. 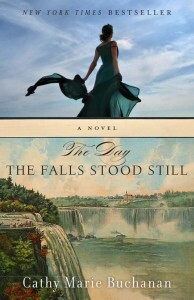 When I set out to write The Day the Falls Stood Still, the story of William Red Hill, Niagara’s most famous riverman, was a natural place to find inspiration. Born and bred in Niagara Falls, Ontario, I grew up awash in the lore of Red Hill. I’d see the rusted-out hull of the old scow lodged in the upper rapids of the river and be reminded of him rescuing the men marooned there in 1918. I’d see the plaque commemorating the ice bridge tragedy of 1912 and know he’d risked his life to save a teenage boy named Ignatius Roth. I’d open the newspaper and read a story about his son, Wes, carrying on the Hill tradition and rescuing a stranded tourist. The hero of my story, I decided, would be loosely based on Red Hill. In creating a riverman with an extraordinary—perhaps even mystical—ability to predict the erratic behavior of the Niagara river and falls, I saw a chance to showcase the wonder I feel when I stand at the brink of the Niagara Falls. With All the Numbers, as well as manuscripts I've completed since, I've found that the story itself nags at me until I can't NOT write it. A scene will come to me--or several scenes, and I know that I have to dig deeper, I want to know what happens, I have to listen to these characters and help them get from point A to point Q or R or wherever they need to be. I suppose that all sounds very vague or all "whoo-wooey," but it's how it's worked for me. 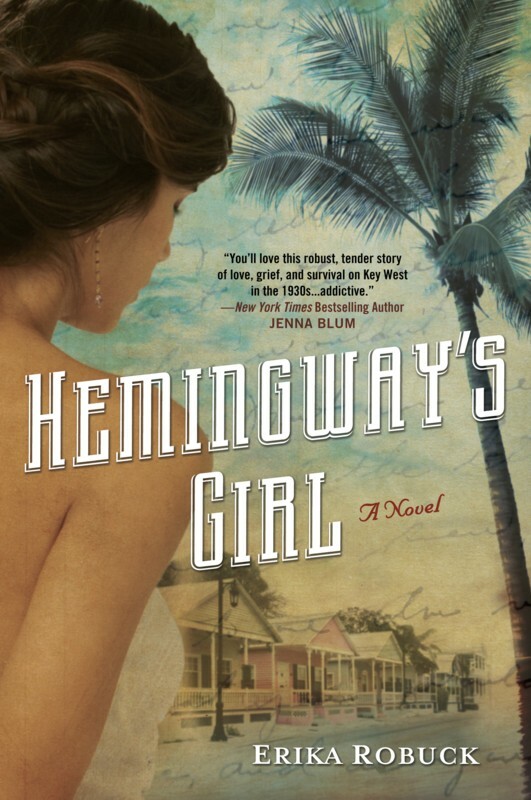 I hesitate mentioning this in mixed company, but what compelled me to write my novel, Hemingway's Girl, was a dream. I had visited the Hemingway House in Key West and felt an intense connection to my surroundings while I was there, but I was working on another novel. Not long after my visit, however, I had a dream where I was sitting with a young Hemingway in the Key West house, and he asked me to write about him because he’d become irrelevant. The next morning I shelved my other project and began Hemingway's Girl. The rest, as they say, is history. As some of you may know, on April 3 the tornado that swept through the Dallas Metroplex snapped apart a tree and threw it onto my house—breaking windows, punching first-sized holes clean through siding, insulation and drywall, and crunching the joists of a corner of our roof like pixie sticks. For two days we were without water or power—and stayed in the gracious and welcoming arms of my husband's parents until normalcy returned. Yet if you've ever been through a neighborhood after a twister has touched down, you understand when I say that there is nothing normal for the days, weeks, and I suspect, months that follow such devastation. We were the lucky ones, losing only a few beloved trees and a small corner of our roof. Several of my neighbors lost everything. Soon after this curveball ripped through my fairly typical American life, I found myself making cupcakes for my daughter's school lunches as contractors hammered all around me. 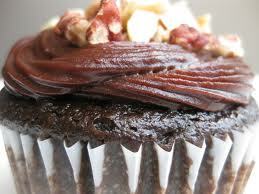 And I was stunned by the overpowering gratitude that flooded through me in that cupcake-baking moment. We were all safe. Our insurance company had given us a prompt reply, a fair estimate, and a heavy dose of compassion. Our friends from around the country had called, texted and emailed to make sure we made it through the storm intact. The church of my childhood, now nine hundred miles away, sent a card covered in signatures of names that I still knew. My awesome literary agent reassured me regarding my upcoming deadline—insisting I take care of family business first, and the novel second. All that love reminded me that I'm not thankful enough for the cupcakes in my life. Not just the chocolate-on-chocolate that I prepare every Sunday for a week's worth of school lunches for two growing girls, but reminding me that my life is full of cupcakes—cupcakes with faces and names and love for me and my little family. We all get the curveballs—I could give you a list of 'em—and they are things we want to forget. Yet we shouldn't forget them—without them, the cupcakes truly aren't as sweet. So for today's little tidbit? Be thankful for your life and your gifts—no matter how difficult things seem. I can't tell you how thankful I am that this tree fell where it did and not another few yards to the left, where it could have crushed through the center of my house instead of just the corner. Be thankful for your friends and tell them you love them; share a meal with your neighbors, and thank the universe that no matter what happens, you can always write, or paint, or sing. Because no matter how bad things seem, it won't take as long as you think before you're thankful for what small blessings came from your worst time. And as far as a tip for the real cupcakes? Make them with lots of love and not when you're angry--my ten-year-old swears they're best made with love. Last weekend, I piled into one of four cars headed to Corpus Christi and spent the next three days and nights in the company of six other families as we cheered our kids on at the State Destination Imagination competition. The Pink Unicorn Galaxy and their parents and siblings hit the beach, played in the pool, enjoyed some great meals, and worked hard. I'd never gone any further than Boy Scout camp with any of these folks, so it was a mostly brand new mix of people, and it was a lot of fun. But now I'm worried about them. Can we just say, it's dangerous to travel with me? Or maybe it's a terrific insurance policy, better than anything that other lizard can offer. Hard to say. Why don't you be the judge? In January, a week after we pulled out of town, a tornado ripped through Trussville, Alabama, flattening all but nine of the houses on the street our friends have called home for fifteen years. Theirs was damaged, yes, but left standing. Last month the wife of the family and I headed to Charleston on a long-planned girls' getaway--and this was not the first time we've traveled together. Back before kids, we trekked from Alabama to California; most summers we spend a long weekend in the mountains of North Carolina; the adults all cruised together sans kiddoes one glorious week about eight years ago. So let's say, this is a woman I've traveled with. Last month, a tornado ripped through North Texas. I think everyone who reads this blog realizes that Susan's house was damaged, but left standing, while other houses on her street were flattened. Another thing readers of this blog know is that we've enjoyed three annual retreats so far, and nearing the planning stages for 2012's getaway. So this, too, is a woman I've traveled with. Two women, two disasters, two damaged houses. But left standing. I have to wonder, am I the good luck of the spared house, or the bad luck of being in the path at all? Another of my dearest friends also joined us in Charleston. She'd been robbed at gunpoint about the same time the Alabama tornado hit. At the time, I figured bad things happened in threes, and wondered what I was in for. But now it seems it's all about the tornadoes. Here's the deal: my Virginia friend has been with me to not only South Carolina, but London, Krakow, Guatemala, and we are trying to decide whether Paris or Prague will be the next place we use our passports. Does anyone know if Northern Virginia is in tornado alley? Heaven knows all those Unicorn homes are, though. What's funny to me as a writer is that you almost wouldn't believe this if you read it in a novel. Sure, the main character has not one but two close pals who are not only hit by a tornado within a couple of months, but miraculously spared right down to the dogs and hamsters. It's just too coincidental, even if it were to drive the narrative (maybe especially if it were to drive the narrative!). Or is it? That's maybe where craft comes in. There are all sorts of incredible things that happen in fiction, and sometimes we buy it and sometimes we don't. I think it comes down to the skill of the writer. I had no trouble accepting people flying on carpets through the jungle when Gabriel Garcia Marquez told me they did in One Hundred Years of Solitude. No doubt that spiders could spell when E.B. White suggested it. And when Amy Tan introduces a ghost, I believe in it every time. But with other books, it's throw against the wall time if they start messing with reality. Which tells me I can write outrageously, but it has to be done very carefully and very well. And not just things that really happen, but stuff we get to just make up. (What a great job this is! Sometimes it's too easy to forget that.) The tornadoes? That really happened to me. Well, to my friends. And while I have no plans to write about it, it does remind me that you can be outrageous if you are authentic, because life is too. And when writing is authentic, you can get as outrageous as you want. It has been a long and stormy tax season, so when my sister called and asked if I’d join her in California for a few days, my mind flew warped-speed to the vision of a mini writing retreat (and a visit with son!) In no time my schedule was set: a few days with my sister and a few days on my own at a quaint hotel in Malibu. Until I saw the beach, I didn't realize how much I needed a change of venue. Casa Malibu was a charming place, run by Richard and Joan (a sign that this Richard and Joan need to open a place on the beach!) with gorgeous views, nighttime ocean serenades, beach chairs, hats to borrow, and a (thankfully temporary) tractor. I took a walk on the beach to clear my head and then tried again. Then I found the Arts Channel, playing nonstop opera, ballets and orchestral music to drown out my neighbor. The next morning I asked to be moved and the lovely owners accommodated me right away, with a tucked away room above the garden. On my final day, I found the local bookstore, Diesel, (the multi-million $ renovated library will open next week!) and set up camp for a few hours before returning for a final stroll on the secluded beach. I came away refreshed and renewed, with a new opening for my novel and twenty of sixty chapters in crisp, changed shape. I Ching, yes! My wish is that all of you get the chance for a few uninterrupted days, if not by the sea, then wherever your dream locale might be. You can also play with cover ideas! A couple of weeks ago I edited the complete manuscript for The Oak Lovers and sent it to my first round of critique partners and Beta readers. Fellow What Women Write contributor, Joan Mora, advised patience. “Don’t be too surprised, or too frustrated, if your Beta readers don’t read as fast as you’d like them to,” she said. Joan’s recently been there, done that, and she knows of what she speaks. All writers encounter this no-man’s land between composition and submission, so I thought it may be helpful to offer some suggestions for how to pass the time. Research agents and compose your query. A no-brainer. Purge office of clutter. Obviously, I’m not about to throw out family documents, but I no longer need files on secondary characters or books on Ojibwa ceremonies. Vintage postcards of settings used in The Oak Lovers can be stowed away like old love letters. This is a break up of sorts. If old voices linger in my mind, it will be harder to hear any new ones. Brainstorm new projects. I have a few ideas. Cook. This tip may work better in other homes. In mine it's a futile exercise. I have yet to find a single thing that all members of my family enjoy. Clean. Dust those high shelves. Organize those cabinets. Dare to face your child’s closet. Tackle unfinished house projects. Paint a room. Hang new blinds. Install new flooring. Garden. Read. I don’t know about you, but my to-be-read pile has became a bookshelf, and it's overflowing! Have a glass of wine. Or two. You’ve earned it. What you should not do: Open your manuscript. You will think every word you've written is crap. Trust me on this. When a book idea lands on your shoulder and then weaves itself seamlessly into your life, it feels as though it's yours and yours alone. It's hard to imagine anyone else with the same thoughts, plot lines, and themes. You're an original, after all. Your work will be too. Yet somehow it happens. When you polish your final draft, you catch wind of another writer landing an agent with a similar idea as yours. When you finally sign with an agent, you see someone else publish with your carefully thought-out title. (Ahem. This just happened to me.) And when you are finally closing in on your long-awaited publication date, a well-known writer tours his latest book— and it sounds an awful lot like yours. You fear, of course, that yours will launch like a dud bottle rocket on the Fourth of July—lots of promise for a show but no fire. You fear that your almost-there career will never happen. So we are diligent, of course, in seeing what other writers are writing. We scour Publisher's Weekly for new deals, praying that those lucky devils have books that are nothing like our own. We chat with industry insiders about what topics are trending. We sweat over our own idea—is it original? Is it unique? Why is everyone else writing the same thing as I am? But here's my take: Don't buy into it. Don't stress when somebody uses your title—just rename your manuscript. Don't sweat it when a famous author's book sounds a little bit like yours—in reality, it's probably nothing remotely close to yours. And when a new author lands a deal? Let it go, cheer them on, and focus on what you can control. And at this point, all you can control are your own words on paper. Sometimes ideas converge and topics are hot. (Think vampires. And dystopian futures. And for that matter, boy-meets-girl-and-they-fall-in-love.) If you are writing to chase a trend, I'd advise you stop. (But then again, what do I know?) But if your idea is your own and someone else's work simply sounds similar? Hunker down. Get the manuscript completed, land your agent, and get to work. I simply don't believe that any two writers can write the same story. And for heaven's sake, don't think of other writers as competition. That just makes life feel too much like high school. Celebrate other writers. If they are succeeding at something you desire, then they are paving the way for you. Write your own story, and make sure it's yours. There's no fan fiction here—these stories in your mind are yours alone. Tell your tale and don't allow fear to freeze you stiff inside your boots. Keep walking. Write your story. And then let it loose into the world. Last month, with The Hunger Games movie on the horizon, I quickly snatched up the series (and so did my son) and read the first two books before seeing the movie. I finished the third book soon thereafter. Sometimes I'll see a movie and THEN read the book, but not very often. Usually I like to read the book and then see how the screenplay compares, how the actors and director portray the story. This year, several books make their big screen debuts (and some are retold on the silver screen). Which upcoming book-to-movie adaptations are you interested in seeing? Note: We are giving Susan a free pass on the blog today because she has been dealing with the overwhelming aftermath of cleaning up after the tornado here in North Texas. She and her family were SAFE and fortunate to avoid some of the extreme damage her neighbors ended up with, for which we here at What Women Write are so very thankful, but they still have exhausting tasks to deal with to get their home and neighborhood back in commisssion. 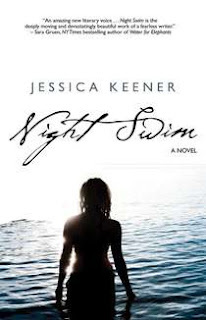 Today and tomorrow, Jessica Keener's luminous debut novel, Night Swim, is FREE to download on Amazon. Click on the cover art here to be taken to the link on Amazon. If you love stories that explore the issues families experience when things don't go as planned--especially when that family isn't exactly functional to begin with--you will love this book. I read Night Swim, digested it for a few days, then felt like I needed to send Jessica a note telling her how meaningful reading her novel was and thanking her for broaching the subjects she did. I had several friends who lost mothers as children or teens when I was growing up, and between this novel and Claire Bidwell Smith's beautifully honest memoir, The Rules of Inheritance, I felt like I finally, after 30 or so years, gained an understanding of how my friends reacted to losing such pivotal figures in their lives. I wish I'd understood at the time. If you don't have a Kindle, you can download the Kindle app for many other electronic devices--I don't have one and I read Kindle books on my iPhone frequently if I'm not reading on Nook or Overdrive. I recommend going to your Amazon account, "purchasing" the book immediately (you purchase it for free) and then see what devices you can use to read it. If you read Jessica's book and love it, too, please tell your friends about it. It is becoming more and more obvious that word-of-mouth is what sells books. A book's success can be dependent on that. And this book deserves to succeed. Last year at this time, I was harvesting tears for my soon-to-be graduating senior. Last basketball game, last months at a beloved school, last high school dance pictures. 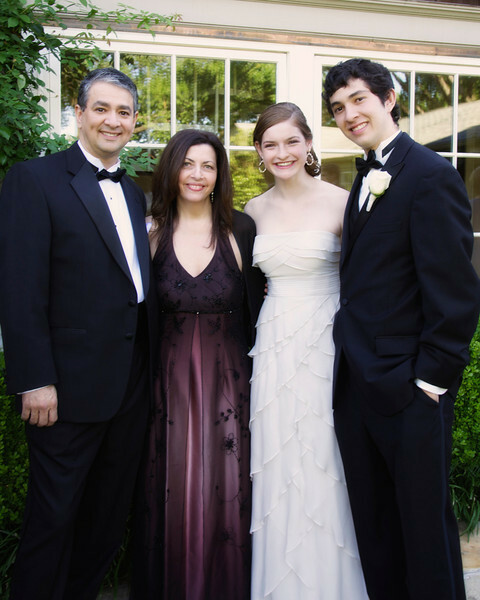 The term empty nest was ringing in my head and it sounded so, well, so empty. And cliché. I’ve been accused of being a hermit. Left on my own, I could sit in my office or my comfy chair or the back porch and write and read til the end of time. I suppose I would break occasionally for movies and wine and food. Luckily my husband doesn’t let me get away with this hermit business for too long, because it’s only in the “real world” that a writer can view humanity with all its flaws and quirks and charms. At the Dallas Arboretum, I see ripe raspberry tulips, snowing cherry trees, grannies with oxygen, and Glenda-the-Good-Witch quinceanera dresses. I hear screeching kids splash through frog fountains, frustrated moms reining in toddlers, and the click-click of my husband’s well-executed camera. At the Kimball Impressionist exhibit I see monks viewing Renoirs and Monets, retired couples holding hands, cackling church ladies in matching red-ribboned hats. At the Fort Worth Botannical Japanese Gardens I see plump koi fish and Kyoto-style stepping stones, hopeful brides and weary groomsmen. And everywhere I see the faces of my next characters. Features, yes: wide noses, close-set eyes, stringy hair. But also expressions: resigned fathers, flirty twenty-somethings, sad botoxed cougars. I've not settled on an idea for my next manuscript, but I can already see some of the characters' images and personalities auditioning before me. Perhaps I need a few more outings. It won’t take long to exhaust Dallas and Fort Worth. Pretty soon we’ll be planning hikes in Ireland and Wales, a photo jaunt to Yosemite (with me hiding in the car from bears), and a return to my favorites, New York (may I stay here, please?!) and London.